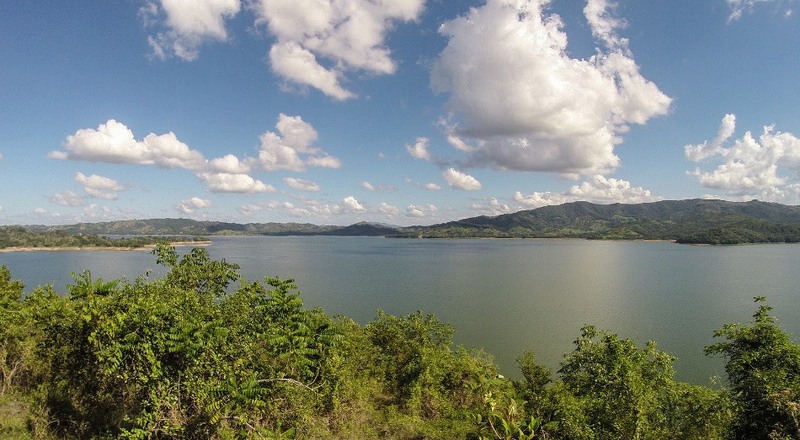 At just about six kilometres to the southeast from Cotuí, in the Hatillo region, it is located the Presa Hatillo Dam, an impressive hydraulic dam that is supplied by the Yuna River. Its construction started in 1977 and it was finished in 1984 thanks to a huge social and economic effort: several communities that lived in the area were reallocated. The water reservoir of the Hatillo dam contains 710,000,000 cubic metres of water, occupies 22 square kilometres and its longest part reaches 15 kilometres: all these turns this artificial lagoon into the Caribbean’s largest fresh-water lake. It is also an important income source for the area’s fishermen, since several fish species (bakus, catfishes, toad fishes, etc.) inhabit its waters. Nowadays, the area is a great tourist attraction due to its beautiful landscapes and green areas. Cotuí - Hatillo Dam Road, Cotuí, Dominican Republic.